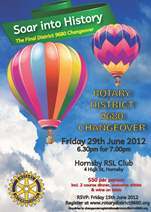 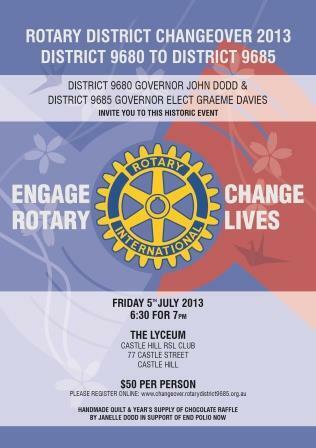 Late June every year is a time of change in the Rotary world. At that time of the year, all 34,000 Rotary Clubs around the World conduct a Changeover ceremony which brings NEW leadership, NEW ideas, a NEW theme and renewed vitality to each Club. 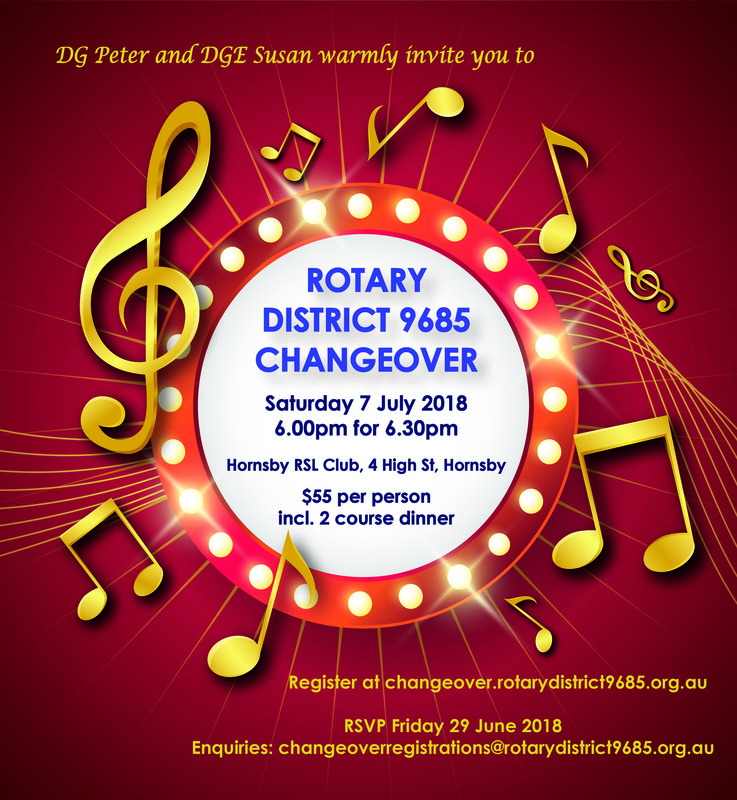 This changeover of leadership occurs throughout Rotary at Club, District and International level.